"I really like these buses better, they come a lot quicker than the old ones." Well, there's a few things worth noting on that conversation, first was that they were comparing a Summer schedule to the Fall/Spring schedule. 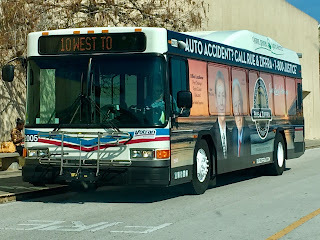 During the Summer semester, the buses run every 10-15 minutes while in the Fall/Spring semesters they run about every 5. So right there, the conversation they're having is already wrong. But going with it, many of the drivers from the old company (Academy) were given the option to move to the new company (Echo Transportation) to continue driving at UNF (I imagine due to no longer operating the shuttles at UNF, many Academy drivers would be losing their jobs or going to coach driving). So what I'm saying is, many of the drivers who were driving the old buses were also now driving the new buses. But let us remember something - bus drivers are people too. There are many things that cause the bus to be late - traffic, unannounced detours, unruly passengers, etc. many of those problems are not the driver's fault, but people either say it is, or complain about "the bus" as a whole. 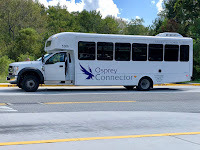 Speaking of the UNF Shuttle buses, I'll have another blog post regarding them since we have a new operator and a new fleet. 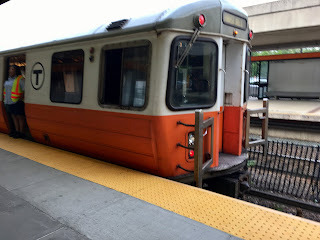 I'll give my opinion on why they're actually not better than the old ones (the physical bus that is). That'll be coming up shortly.